Appearance (0-20): One thing that I love about a quality cigar is the grainy, bumpy wrapper. They are little "flavor pockets" of the oils from the cigar from aging. This offering from Tatuaje has a super grainy broadleaf wrapper. It is quite dry to the touch, but very inviting to say the least. The band is fairly simple on the outside, but holds a solid smoke underneath. Construction (0-20): The cigar itself performed well overall. 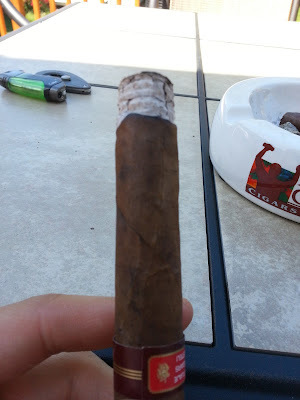 While I had the cigar aging properly, the wrapper was still somewhat dry. There was a small crack in the middle of the stick, and it seemed as part of the middle was unraveling Luckily, neither of these had an effect on the smoke. I tried take a good picture of the ash, but it wouldn't focus correctly; it had an almost pure white ash, with speckled graininess in the ash as well. It had some flakiness, yet overall was solid start to finish. Strength (0-20): Nothing over the top here, just a solid medium cigar. There is no real heft present, and it may have actually been a touch under medium. 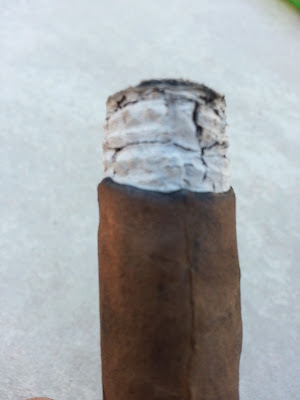 Flavor (0-20): After some quick reading, it seems as though broadleaf tobaccos were used as the wrapper, binder, and filler. You generally don't get that, and it had a unique flavor profile. I received a blast of spice in the beginning, and then some additional spice from start to finish. As I smoked further down, there was some solid notes of cedar and sweet molasses. The flavors complimented themselves well, and had some complexity and transitions. Value (0-20): For around $6.00, you definitely get what you pay for. It's an above average cigar for the price, and the price point does it justice. I would like to smoke a robusto/toro size, yet I don't see it offered. 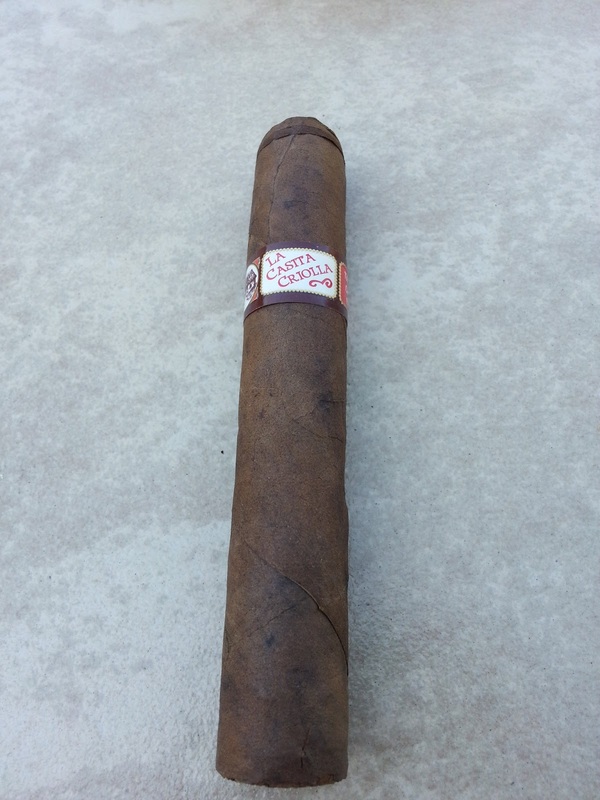 Overall (0-100): Somewhat unsuspecting, the La Casita Criolla was a solid cigar. 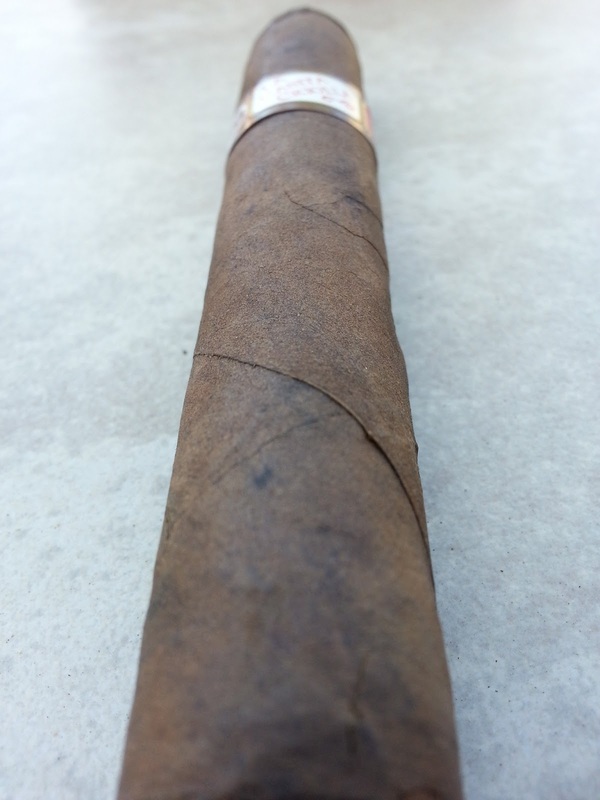 The flavor profile was very solid, as Tatuaje incorporated using all broadleaf tobacco. If you are looking for a fair priced cigar that has some solid tasting notes, this is one that you might want to check out.